Bass Pro Shops - Bossier City, LA was our very first sponsor. We are thankful for their vision in believing in us when we were still unkown. Thanks a ton for all you do in our community and many others around the nation. Long Range Alley - The longest range in about a 300 mile diameter around the greater Shreveport, LA area is a critical partner for Handicapped Outdoors. We use their amazing pro shop to purchase many of the tools we need to help people get back in the field and on the water. You too can contact them and order all of your guns, accessories and equipment through them too. 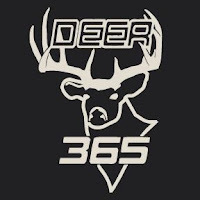 Deer365 and Banks Feed - After stumbling on this amazing product, we reached out to the owner and visionary behind Deer 365 and immediately found someone we wanted to be a partner with. Geno Banks is the real deal and so is his products. If you haven't picked up a bag of this stuff, you are missing out. We use it and so should you...it's the best.